Will Noble Why Is There No Charles Dickens Statue In London? After Shakespeare, he is London's most revered writer. 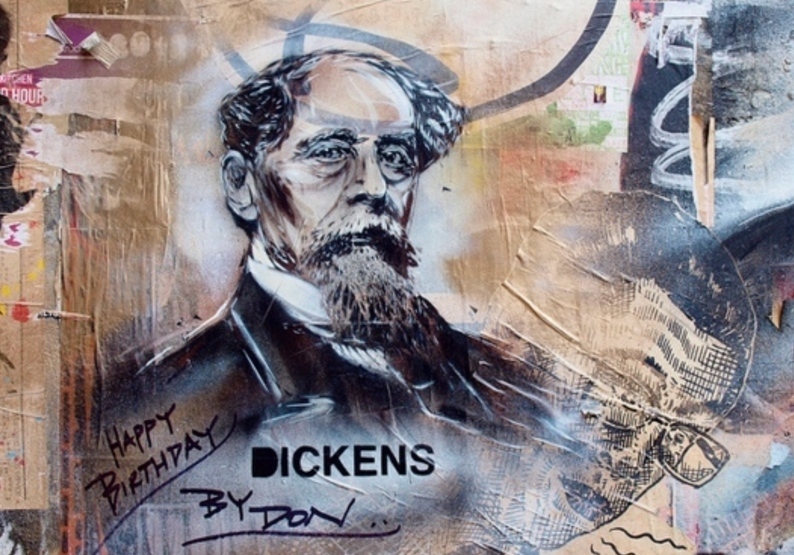 So why is it, then, that 145 years after Charles Dickens's death, there's still no statue to him in the city he loved, and despaired of, most of all? Go to Clark Park in Philadelphia or Centennial Parklands in Sydney and you'll find yourself gazing up at majestic statues of Dickens. Fitting tributes to the great man they may appear to be on the surface, but they are actually in contravention of Dickens's own wishes. I emphatically direct that I be buried in an inexpensive, unostentatious, and strictly private manner... I direct that my name be inscribed in plain English letters on my tomb, without the addition of 'Mr.' or 'Esquire.' I conjure my friends on no account to make me the subject of any monument, memorial, or testimonial whatever. I rest my claims to the remembrance of my country upon my published works, and to the remembrance of my friends upon their experience of me in addition thereto. So London, and Britain, stuck rigidly to these wishes then? Absolutely not. Almost as soon as he shuffled off this mortal coil, Dickens's wishes began to be shunned. Far from the quiet funeral he wished for, Dickens was buried with pomp and circumstance at Westminster Abbey, thanks to a public outcry, led in no small part by The Times, who gushed "It will be felt by millions as nothing less than a personal bereavement". Dickens's tombstone, at least, has the simplicity he'd requested. But as curator at the Charles Dickens Museum in London, Louisa Price, explains, it wasn't long before Dickens's own flesh and blood were spurning the author's will; "Dickens’s daughter Mamie was one of the first perpetrators of memorialising Dickens." says Louisa. "She presented a cross to St Thomas’s Mission Church in Manchester with a memorial cross bearing his name just after his death." This perhaps set a precedent for memorialising Dickens. In London now, there is a slew of memorials, including blue plaques, indicating houses where he lived, stayed and worked; as well as friezes, pubs, and other buildings — including, of course, the Charles Dickens Museum itself, (this faced opposition from Dickens enthusiasts before it opened 90 years ago). The closest we get to an actual statue of Dickens is the bust of him at Holborn Bars, close to Chancery Lane. Perhaps that would have been the end of that, were it not that the first statue of Dickens in the UK was erected in his birthplace, Portsmouth, in 2014. Despite some hardliners decrying the move, more than 40 of Dickens's descendants turned up for the unveiling, with great-grandson Ian Dickens claiming of the notorious will: "If anything it would have been arrogant if back then he believed that in 200 years he would still be celebrated. For all he knew the fame might have faded 20 years after his death." With this kind of argument on the table, and the fact that Portsmouth's statue was sculpted by the man behind John Betjeman in St Pancras station, we feel it will be only a matter of time before Dickens is finally remembered in unadulterated statue form, right here in London. Whether or not that will cause Dickens to turn in his very public grave, is another matter.